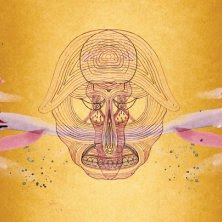 Devendra Banhart's major-label debut, ‘What Will We Be’, was recorded with the same collaborators who graced his 2007 ‘Smokey Rolls Down Thunder Canyon’. On this latest recording the idiosyncratic singer-songwriter is intimate, experimental and ultimately accessible. 28 year old Banhart finally sounds content with himself and his own sound. His latest offering is a big improvement on his 2007 album; it's also the most consistently satisfying in its mood, flow and passion, full-length he's made. For his seventh album, Banhart gave himself over to super-producer Paul Butler from A Band of Bees, and with a little direction Banhart flourishes: In the catchy campfire sing-along’s ‘Angelika’ and ‘Goin' Back’, his appealing eccentricity gains potency when it's packed into more compact forms. Butler has smoothed out the peculiar edges and given Banhart his most radio-friendly sound yet. His method of vocal arrangement lifts tracks such as ‘Maria Leonza’ from simple Latin sashay to an ache-filled lament. While breezy yet bass heavy ‘Baby’ and ‘16th & Valencia, Roxy Music’ shimmer with professionalism. ‘What Will We Be’ is dominated by powerfully melodic, mid-tempo tracks that have a sunny, breezy feel which makes it arguably Banhart’s most focused release to date.